or visit the contact page for any enquiries. Global Entrepreneurship Week is the world's largest campaign to promote entrepreneurship. Each year, it plays a critical role in encouraging the next generation of entrepreneurs to consider starting up their own business. The sixteenth year of Enterprise / Global Entrepreneurship Week (GEW) in Hull once again celebrated enterprise and entrepreneurial spirit across the city. As every year, this week-long programme was packed with diverse events to support and encourage young people on their enterprising journeys. The focus encompassed whole year groups, primary, secondary and post-16 events, and an international live-link up enabled the sharing of best practice, innovation and initiatives to support entrepreneurship in a different cultural and political context. Globally, GEW enables millions of entrepreneurial people to unleash their enterprising talents and turn ideas into reality. It brings together university students, school pupils, teachers, entrepreneurs, corporate leaders, employees, non-profit organisations and others to celebrate and promote entrepreneurship worldwide. Now in its sixteenth year, more and more countries and organisations are becoming involved. Over14 million participants took part in 2018, in 185 countries. In the UK, there were over 500 events delivered by 100 partners involving over 100,000 people over 168 hours. In Hull we held 30 events and activities as well as Hull and East Riding’s Youth Enterprise Awards and our annual link up with colleagues in Southern Africa. 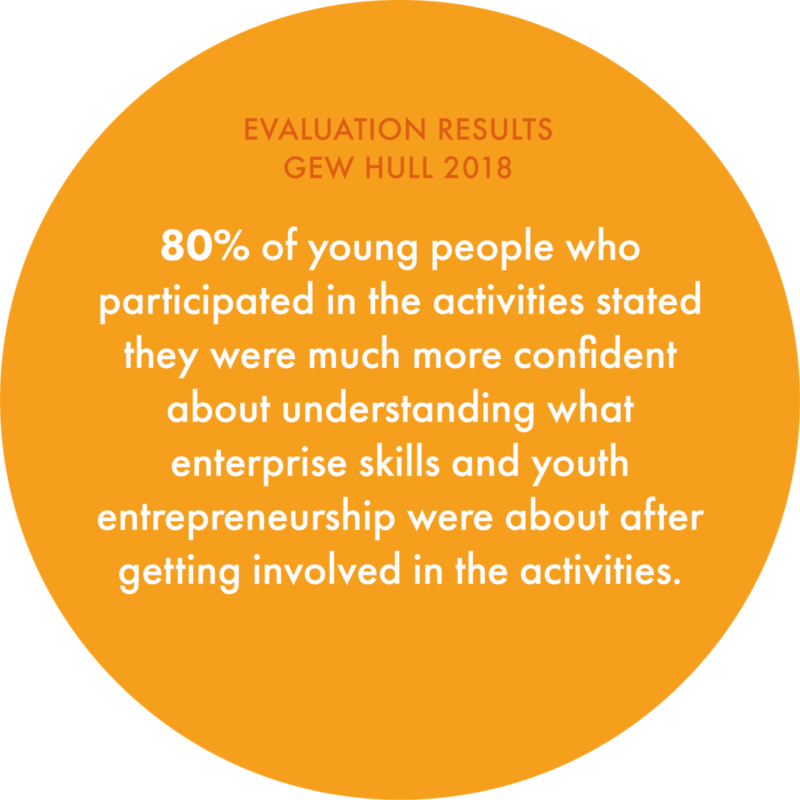 We need your help in particular sponsorship to ensure that Global Entrepreneurship Week 2019 continues to inspire young people across Hull and the Humber. We have received interest from 40 schools already ( February 2019) for this November.